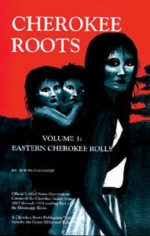 Looking for possible Cherokee genealogy in my family tree. I was wondering how to find information about my 3rd Great Grandma? Evalin/Eva Miller parents unknown married a David Hider Aug 26,1889 Roane, Tennessee. By 1900 she was a widow living in Roane,Tn & took in boarders.They had two children Mary & Gracey.We are of Cherokee descent. Mother: Thelma Laverne Reece, Grandmother: Leatha Reese (Miller), Great Grandmother: Arminta Miller (Taylor), Her Husband: Robert L Miller, Arminta’s Father: Caleb Lafayette Fate Taylor, Mother: Martha A Taylor (Joyce). I can’t seem to find them on any fo the Rolls, looking for any help… Settled on the Buncomb/Haywood, NC area. Born Oct. 21, 1834. Asheville County N.C. died Oct 21, 1928. Married Jacob Miller Jan 1, 1852 Jefferson, Asheville N.C. Trying to find the names of thier Children. She the Married John Cox around 1821 in N.C. then moved to Wyoming and Raliegh County Wv.